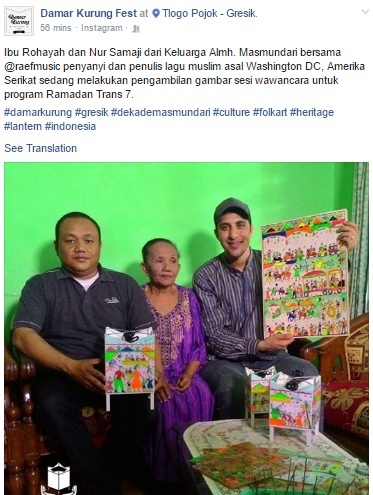 Dalam akun twitternya raef mengetweet "Today ia i visit Giri Mosque - here in Gresik, Indonesia" tertanggal 16 Mei 2016, setelah sebelumnya juga sempat mengetik "on our way to Gresik"
"Bismillah - here we go. This is the map of my journey for the next 15days. 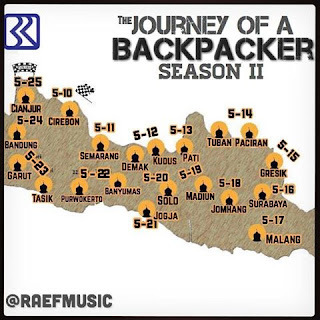 We are filming this TV program in hopes to give a glimpse of the rich history of this Island (‪#‎Java‬). Join me LIVE on snapChat[RaefMusic] as I explore ancient Mosques, meet inspiring people, share incredible stories, and experience local food. Ill share behind the scenes stuff you won't see when they air this on TV next month iA! 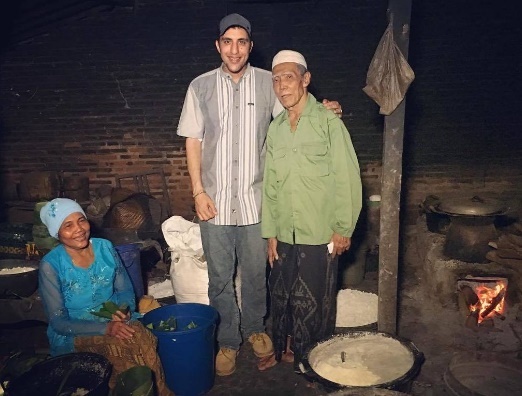 ‪#‎journeyOfaBackpacker‬ ‪#‎JOAB‬ ‪#‎f‬ ‪#‎t‬"
Selain mengunjungi Masjid Giri, Raef juga bertemu dengan Ibu Rohayah dan Nur Samaji salah satu keluarga almarhum Masmundari seperti diposting oleh facebook @Damar Kurung Fest .